By cutting personalized sponges from our raw material blocks we create various different types of viscose sponges. Dependent upon if small batches are needed or high quantities, the sponge blocks can be cut to size horizontally or vertically. 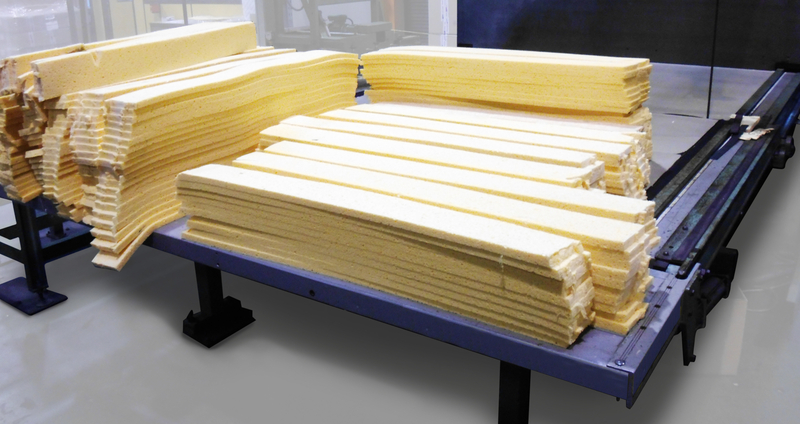 For the different sizes and qualities of our sponge material we use different types of band saws for optimized production processes. Advantages for this type of production is the ability to match the customer’s specifications and saving tool costs.